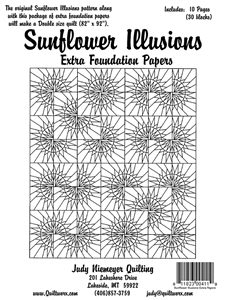 The Sunflower Illusions pattern was designed by Brad and Judy Niemeyer. This quilt was designed for foundation paper piecing. Fabrics used were Hoffman Fabrics. Curved piecing and traditional piecing skills are required to finish the quilt top after the foundation piecing is completed. The pattern was written with beginners in mind and has many illustrations and graphics which compliment the written instructions. Beth Clifton Is there a link to purchase the pattern? Ann Hibbs I'll be assembling mine at quilt retreat this weekend! Patty Hampton Wow!!!! That is really pretty. Charmaine Karl Love your colors! 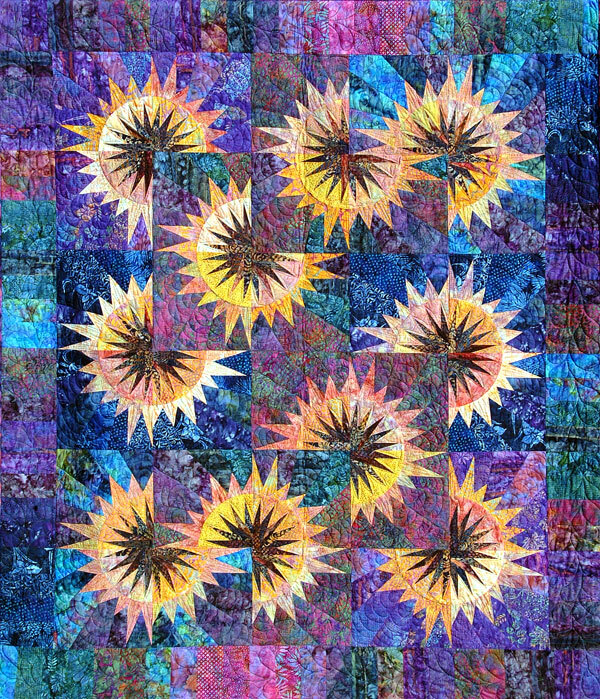 Sunflower Illusions designed by Quiltworx.com, made by Becky Forbes. Her second Quiltworx quilt, it won 2nd Place Ribbon at the San Diego County Fair! Wendy Hildahl I have this pattern, hasn't been started yet though. Heather N John Molyneux Yes I do. I do like I­­t. Kathy Dewar Heather N John Molyneux i thot you would like this. Beverly Custer I really love this pattern, and hoping to find a workshop..
Kathleen Bahrke Very nice. Love the bright colors. Debbie McCracken Beverly Custer...how about this?!?! Carol K Webb Love the colors! This is the prettiest I have seen! Beverley Simpson Hess Very nice. Mary Lou Bowen I love the choice of colors!!! !